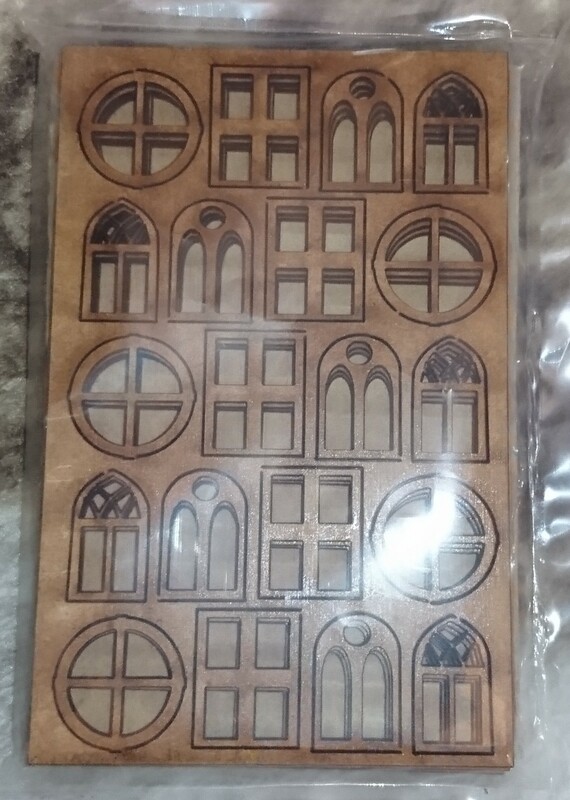 As part of my preparation for scratch building several houses for Burrows and Badgers, I have been looking for any sources of round window frames in MDF. Round windows seem quite appropriate for the Burrows and Badgers settings, but making them looks to be a bit of a pain – hence my searching for a source of these. The usual places, such as Warbases, produce doors and rectangular windows, but I wanted something a bit different. A brief search lead me to a company called Calico Craft Parts, who produce exactly what I was after – a set of MDF window frames – £2.99 for 20. As well as windows, they also do doors, and even some MDF building blanks. The windows should go well with the door set that Sarissa recently released.